I bought a lot of my M.A.C stuff while on holiday in America last year and it was much cheaper, plus I get freebies from my brother (who works for M.A.C). But there are a lot of supermarket brands that I use too which I find are really effective and also super cheap!! I have a “seconds” makeup kit that lives in my gym bag which has products I know and love and are generally cheaper than my usual stuff. SAMPLES: A quick tip: buy smaller sizes (like that in pic above) or scrounge around for samples before buying a full sized product. YES, smaller sizes are usually more expensive per gram, but overall, if you don’t like the product you’ve saved money and time on buying the larger size! A lot of beauty counters will give you a sample of something if you’re on the fence about buying, and you can get a few uses out of a free sample. For skincare, I like the all natural Weleda spritz on deodorant, and it comes I pretty scents. I’ve also used the Body Crystal fragrance-free Deo stick before trying LaVanilla which is a little cheaper again. My current is the Natio Australia roll on but I’m not that keen on it so will be switching once it’s all used up. Instead of the M.A.C cleansing oil I’ve used the Lipidol Cleansing face oil, and at a $10 price point, you really can’t lose!! I also like the Organic Surge gentle cleansing lotion but find I have to double cleanse if I’ve still got a little makeup on. I buy water wipes in bulk and as I don’t often use them on Mackenzie’s bum they last ages (we use cloth wipes at home, and wet wipes when out), because of that I’ve started to use them to take off my makeup. 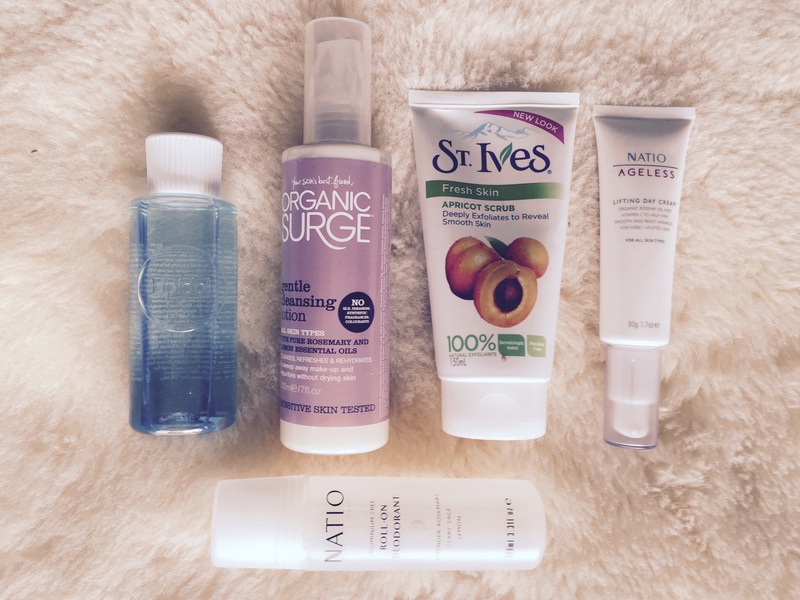 I’ve previously used the St Ives Fresh Skin Apricot Scrub and still have a tube sitting in my gym bag. I know this product gets a lot of flack but used gently, it can get you quite a nice smooth faced result!! If you’re after a DIY option, which I’ve done while desperate, I’ve mixed coconut oil, a squirt of cleanser and a little sugar and gently rubbed on my face and body. Here’s a good DIY recipe that uses salt in place of sugar! MAKEUP: One thing I don’t cheap out on is moisturiser. I’d swap all of these products for my Bobbi Brown Protective Face Lotion, just because it’s taken YEARS to find something that doesn’t sting my eyes, burn my skin or cause a grease attack. Plus the smell is good, the sun protection factor is key and it helps foundation look good if I’m rushing and skip applying a base. I’ve got a small sized tube of the Benefit Porefessional which is worth the price! Before splurging on the M.A.C tinted moisturiser, I had the Garnier BB Cream and used the Clarins beauty flash balm as a base which I got duty free. I really rate the Garnier BB cream and it’s really cheap! I carry the Maybelline Fit Me powder around in my work handbag as I find it’s great for touch ups on the go. It’s got a handy little flip up mirror and comes with a pressed powder puff. I’m a bit of a stickler for mascara but I do like the e.l.f Mineral Infused mascara and of course my Natio Brow Kit is my fav. It retails for $19 but it lasts AGES. Seriously. I use mine every day and I’ve had my current compact for one and a half years!! I’ve heard really good things about the NYX brow kit which I might try out next time. I love my fancy lipsticks but half of them were freebies and they are NOT cheap to buy. I actually really like the L.A Girl Flat Finish (matte) range and their Lip Glazed range too – I picked up three of their lip colours for $10 each at my local chemist and I find their matte lipsticks last as long as the Lime Crime Velvetine matte range! I also like the Sleek Matte Me range and the E.L.F Matte Lip Colour range. Are you sensing a theme here? I’m in LOVE with matte lips! 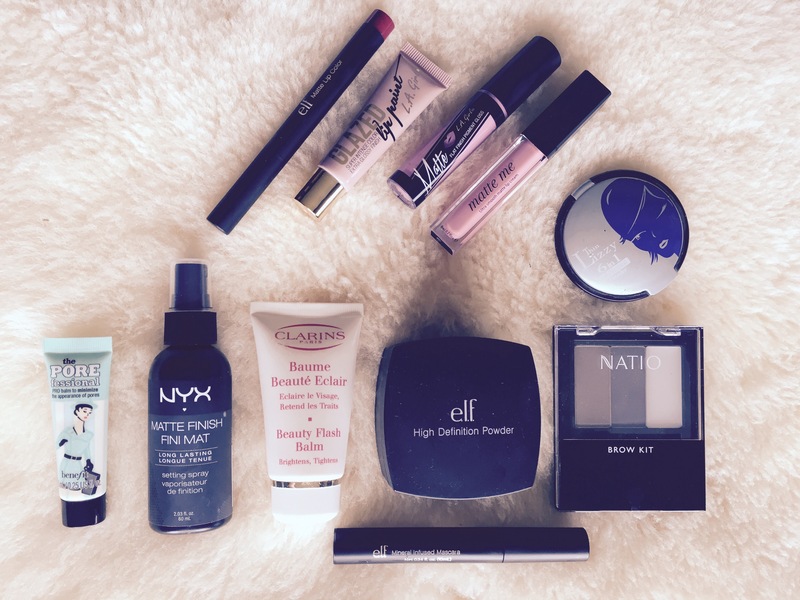 I love e.l.f products (stocked at Kmart in NZ) and NYX products which are both reasonably priced brands. In particular, the E.L.F high definition powder (go gentle on this though, lest you end up like Angelina…) and the NYX matte finish setting spray work well together. Also, the Thin Lizzy bronzer is pretty good and you can buy it cheap at NZ pharmacies! 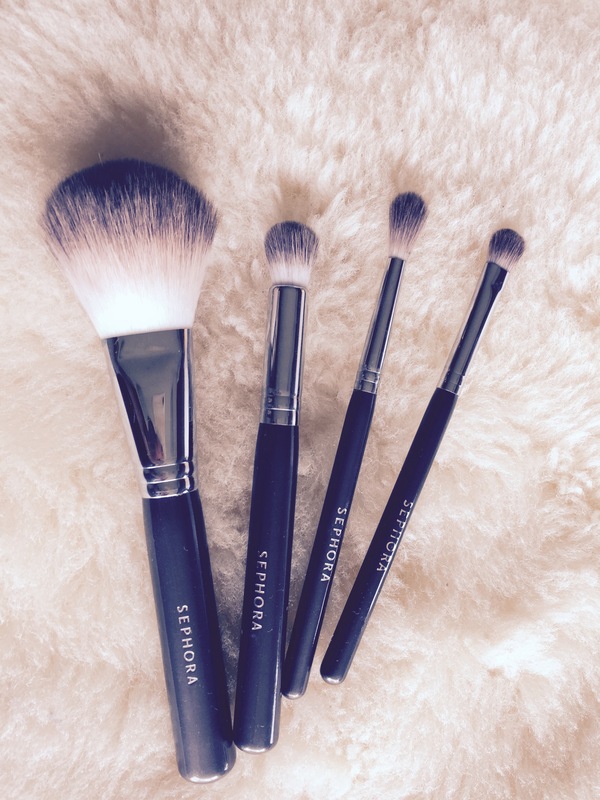 BRUSHES: I bought a set of Sephora brushes in Hawaii and I really, really like them. I’d say they’re the same or slightly lower than M.A.C brushes in terms of quality and effectiveness but they’re definitely way cheaper. The only M.A.C brush I insist on using is the Duofibre 130 to blend foundation. It is, hands down, the best brush I’ve ever used. HAIR AND FRAGRANCE: For hair, the only product I use religiously is Moroccan Oil. It’s a big outlay but the bottle I’ve currently got has lasted just over a year. I use it sparingly (one squirt) and work it into my ends and then upwards while it’s still wet. It helps my limp post pregnancy hair look a little more shiny. 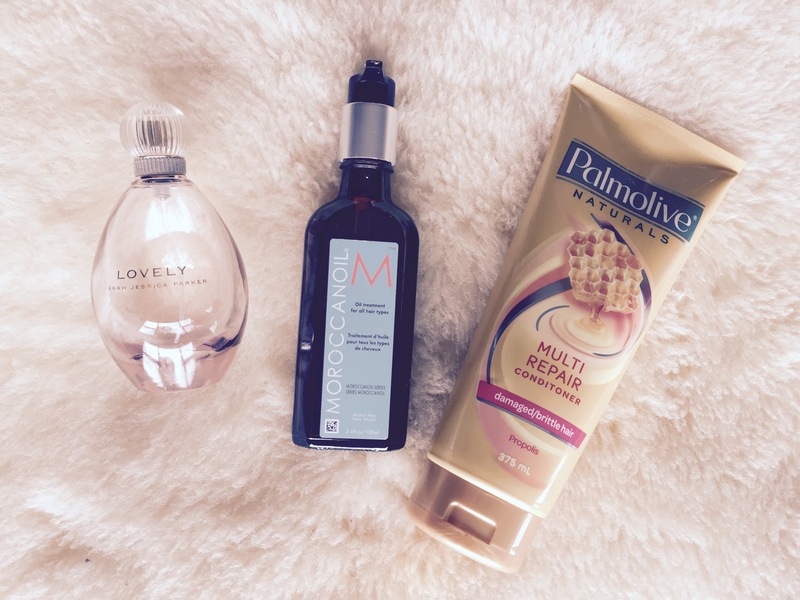 I really don’t care about shampoo or conditioner and actually often buy the Palmolive Multi Repair range! Finally, there are lots of cheap perfumes out there that are delicious. My favourite is “Lovely” by Sarah Jessica Parker. 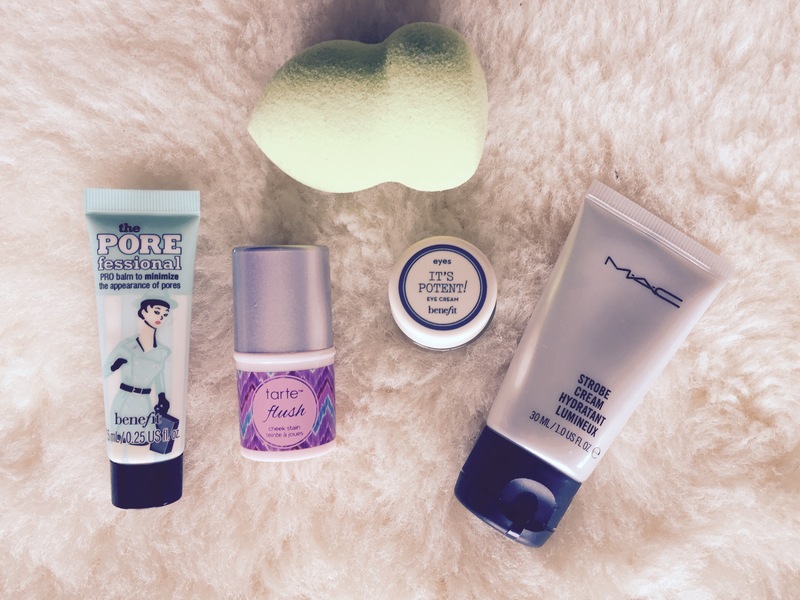 What cheap products do you love? What products would you buy no matter what the cost? My bub is 3 1/2 months old so we will soon drop to the one income but I still feel that quality beats quantity! Love my pureology hair products & they last forever!